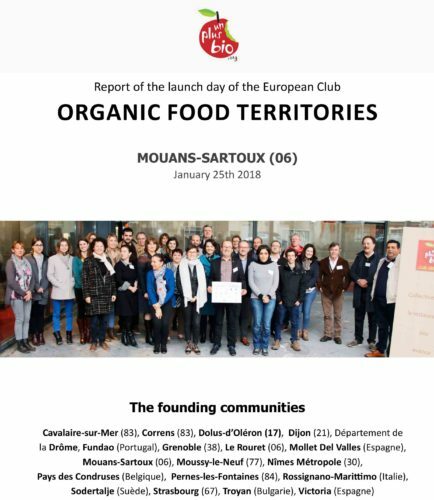 European Club "Organic Food Territories"
In 2018, the city of Mouans-Sartoux and the association Un Pus Bio officially created the European Club "Organic Food Territories". 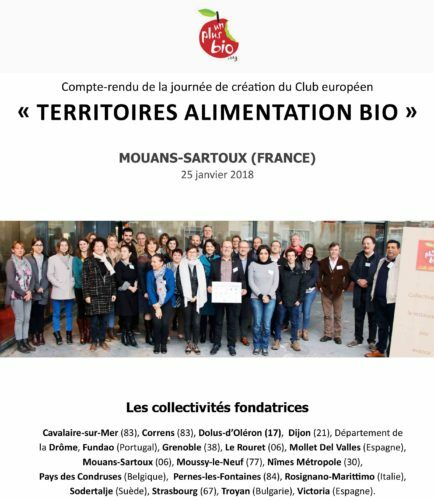 Connecting the territories in Europe that make sustainable food a pillar of agricultural, economic, social and public health developmentthat is the goal of the Club. A Plus Bio is now the leading French network of organic canteens, which brings together 70 communities representing 13 million inhabitants. The launch day of the Club, January 25, was an opportunity to welcome the first foreign delegations and to share the visions and actions of the founding members on sustainable organic food and to decide on the objectives and missions of the network. . With its French experience bringing together all levels of communities, the latter is addressed to all: small and large cities, all kinds of territorial organizations.